Question – How do I avoid paying commission twice? I had my property on the market for three months with Estate Agent A, but only got one offer, below the asking price and the timescales involved did not suit me. At the end of the minimum contract period, I terminated the contract with the estate agent and requested a list of the prospective buyers they had introduced to the property. Two months later, I put the property on the market again with another estate agent (Estate Agent B), and forwarded the prospective buyer list I was given by Estate Agent A. We found a buyer through the new agent and accepted the offer. It turned out that the wife’s name of my new buyer appeared on the prospective buyer list compiled by Estate Agent A. Estate Agent B told me that the buyers said that, even though the wife had registered with Estate Agent A, she had never looked around my property. B says that A has been mistaken or misleading in including the buyer’s partner’s name on the list of prospective buyers. I’m worried because in A’s contract, commission is payable if the buyer they ‘introduced’ to the property purchases the property through another agent within six months of the termination of A’s contract. B claims ‘introduction’ would not count in this case as the buyers have not looked around the property prior to our instruction of B as our agent. I do not want to be liable for two commission fees and need to resolve this issue. I also do not want to attract any undue attention to this issue from Estate Agent A. The definition of ‘a buyer introduced by us’ usually means the prospective buyer viewing the property is as a result of the estate agents efforts in bringing the property to the buyer’s attention. Estate Agent A seems to be saying that they indirectly brought the property to the buyer’s attention through their marketing efforts. Let’s look at an example that follows a similar principle: A prospective buyer sees a for sale board outside a property they like the look of. They knock on the door and ask the owner for a viewing directly, by-passing the estate agent. The agent then takes credit for the introduction on the basis that if it had not been for the agent’s board/advertising/marketing materials etc., the buyer would not have known of the property’s existence. So, in this case, was the buyer’s name mistakenly included in that list – perhaps a viewing was requested but cancelled or never confirmed and this is just an admin error? Or, is this a tactic that Estate Agent A uses in order to claim an indirect introduction as with our example above – anyone on their mailing list who was emailed details of the property can be deemed to have been introduced to it? Claiming an introduction because you handed out a brochure or emailed particulars of a property is, in my opinion, an outrageous and very unfair practice. If you walked into five estate agencies in a town and received the same property on a multiple-agency from three of those, are Estate Agent A going to claim the introduction because you walked into their office before Estate Agent B or Estate Agent C and got the particulars from them 10 minutes before getting them from the others? Your member should email Estate Agent A and ask for clarification of the list he was given. They could say: “Why is my buyer on that list if they didn’t view through you?” Your member will definitely know A’s intentions then and if they don’t intend on claiming an introduction, ask them to confirm so in writing. The risk your member runs in this approach is that A will then be made aware of the scenario and if we’re right and they do apply such tactics, it is at this point – before exchange and being contractually bound – that your member and the buyers will want to know. The strength in this scenario is that the buyers have confirmed in writing that they didn’t view the property through Estate Agent A and they may be prepared to make an issue of it if they lose their new home as a result of this unfair tactic. Your member facing it head-on, drawing Estate Agent A out, so to speak, may be the only safe option. Estate Agent B will also want to resolve the issue as they could potentially lose the sale. 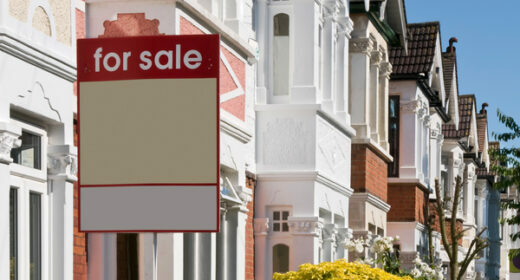 It is not uncommon for estate agents to come to an agreement to split the commission fee. Steve Lucas, author of Inside EA.